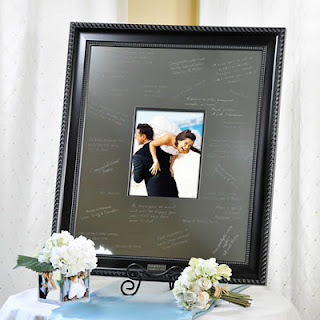 We love this unique guest book alternative. 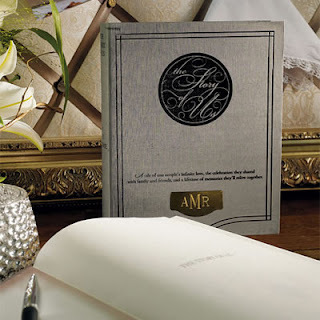 What a way to get your guests talking and get their insights on what makes a happy marriage. You'll enjoy these for years after the wedding, there's no doubt! 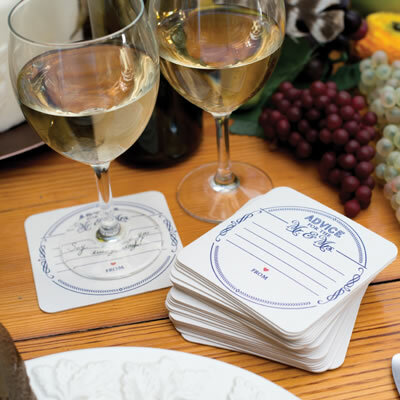 These soft white paper coasters feature "Advice for the Mr. &amp; Mrs." The design is printed in blue with red heart accent at bottom. Four lines for writing advice and area at bottom for signature. 4" x 4". Not available personalized. 25 per set. Another one of our favorites. 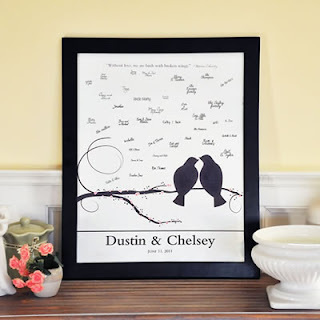 This Personalized Signature Frame is a great alternative to traditional paper guest books and is a wonderful keepsake from your wedding day that can be displayed for years to come. You simply add your favorite photo! 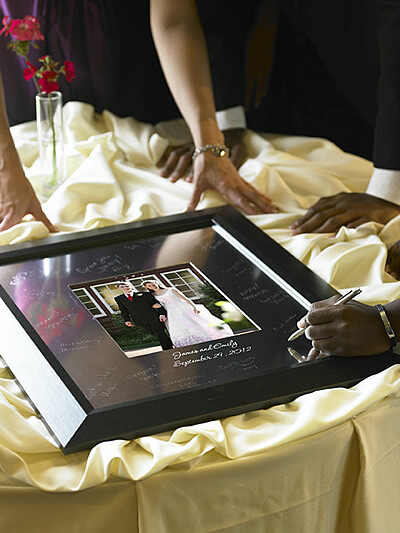 The easy-to-use Signature Engraving Scribe™ permanently etches signatures into the sturdy, high quality alloy surface. 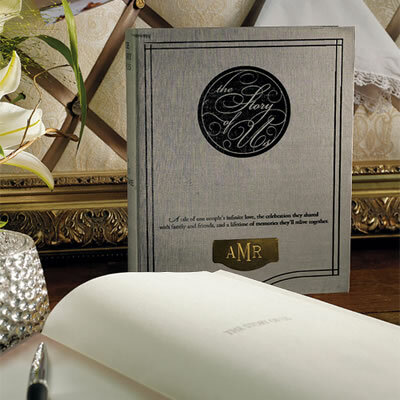 No special treatments are needed for the mat, your guests just sign and it is ready to display. 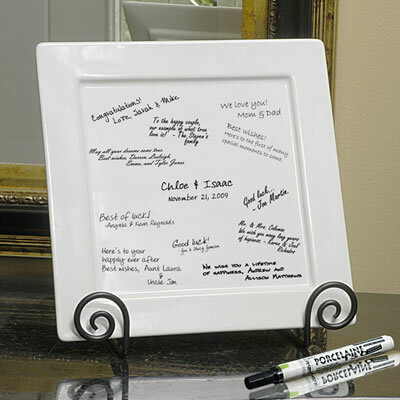 If you're looking for a fun way to collect guest signatures, look no further than with our Signature Decorative Platter, Pen & Easel Set. An interactive way to involve your guests, this fun platter also makes an amazing keepsake for your home. The three dimensional design of the square platter gives a modern twist to traditional shape, and the vintage easel easily displays it for all to see.